Dada Hub is an annual concept of contemporary dance technique workshops held by the Dada von Bzdülöw artistic directors & choreographers, with this year’s guest masterclass by Zrinka Užbinec (Zagreb, Croatia). Hub – a focal point around which various events take place. Dada Hub is an annual concept of contemporary dance technique workshops held by the Dada von Bzdülöw artistic directors & choreographers, with this year’s guest masterclass by Zrinka Užbinec (Zagreb, Croatia). The project aims to bring together dancers, choreographers and artists with similar interests, who want to share their experience and bring ideas and creative energy to the table. LESZEK BZDYL: “The workshop should be as undefined as the whole of the Dada von Bzdülöw: while dancing I think of theatre, while creating theatre, I think with a dancing body. Perhaps it’s not an overly broad question, but only in this way for me dance and theatre become an interesting art space, only in this vast duality can I find inspiration and fancy the definitive encounter with the viewer. Workshops will be held in a modern studio on the premises of a newly renovated Artillian Coach House in Gdańsk, which serves now as a new residency site to encourage artistic creation and production. All-day workshop (30h total) will be held for five days by the founders and choreographers of the Dada von Bzdülöw Theatre – Katarzyna Chmielewska and Leszek Bzdyl, and by Zrinka Užbinec – a guest choreographer & dancer from Zagreb, Croatia. The target group will consist of 25 advanced dancers from Poland and abroad. 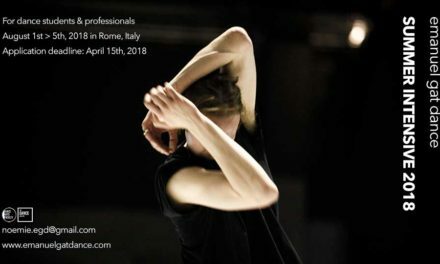 All workshops will focus on contemporary dance techniques, improvisation and composition, as seen from the Dada Theatre artists’ perspective, shaped over more than two decades of experience. Participants will be selected in relation to their experience and application filing date (up to 25 persons). On contacting us, all new artists will be asked to return the Dada Hub Application Form. The organizers reserve the right to select participants on the basis of their experience. Those who have confirmed their participation in the workshops can resign for free till 30 July 2018. Resignation after this date will entail a fee equal to 50% of the workshop costs. Saturday 19 Aug, h: 17:00 – open work-in-progress presentation, next – ending the workshop and awarding participants with Dada Hub 2018 Certificates. On the last day – Saturday, the workshops will be run in a formula open to visitors. The workshop should be as undefined as the whole of the Dada von Bzdülöw: while dancing I think of theatre, while creating theatre, I think with a dancing body. Perhaps it’s not an overly broad question, but only in this way for me dance and theatre become an interesting art space, only in this vast duality can I find inspiration and fancy the definitive encounter with the viewer. 25 years of our experience resulting from this two-vector pressure seems to be some kind of infinite wealth, which should be shared. On the other hand, those 25 years of experience says that what was defined yesterday, today, must be verified. Thus, we’ll be defining and verifying. During the workshop, we will be penetrating the naturalness and precision of a dance phrase; for this purpose, we will use the systems developed over the years in the Dada Theatre (correlation of breath and movement, preparation and action, multi-directional impulses, joy of energy flow). During the technique and improvisation workshop, we will explore the role of weight and body mass in motion, and we are going to examine their direct impact on the quality and dynamics of dance; for this purpose, we will use the “release” technique as well as working with a partner in improvisation. The aim of the workshop will be to integrate the energy flowing in the body to greater economy of moving, and better quality and awareness of the body. In addition, the workshop will be accompanied by live music performed by Radek Duda; the combination of both live music and exercises helps better engagement of participants during the workshop, and allows for a more intense insight and understanding of our body during dance. My technique used during the classes is somehow a result of many techniques and experiences gathered for the last 25 years of work in Dada as well as through inspiring meetings with many other choreographers, dancers and theatre directors, e.g. Lance Gries, Thomas Hauert, Martin Kilvady, Roberto Olivan. During the course of the workshop, every day will be divided into two parts. However, two seemingly separate parts will influence, contaminate and sometimes disturb each other. In the first part, we will raise the awareness on the dynamic posture that our bodies have while playing with the coordination, rhythm and articulation of movement. In order to tackle those basic body principles, different “methods” will be proposed: somatic, functional, neglected, forgotten, learnt second-hand, beloved, energetic, boring and repetitive one. In the second part, we will explore different exercise approaches, improvisational propositions and movement try-outs that are based on the logic of interruption and on working with divided attention. We will include different objects, those found by chance, imaginary ones, or the ones we wanted to work with for years, to share that dance with us. The aim is to sharpen the attention not only to different bodily details but to discover and establish strange connections between them and the space which surrounds us. The logics of interruptions and divided intention in dance were established through my work with BADco., theatre collective from Zagreb. It is based on the choreographic approach which neglects the romanticist concept of the body as a generator of movement and focuses instead on the body’s ability to mediate, but also to resist different series of movements, gazes and vibrations which chain both living and non-living mediators together. ZRINKA UŽBINEC – dancer and performer with interest in choreography. She is a member of performance collective BADco. 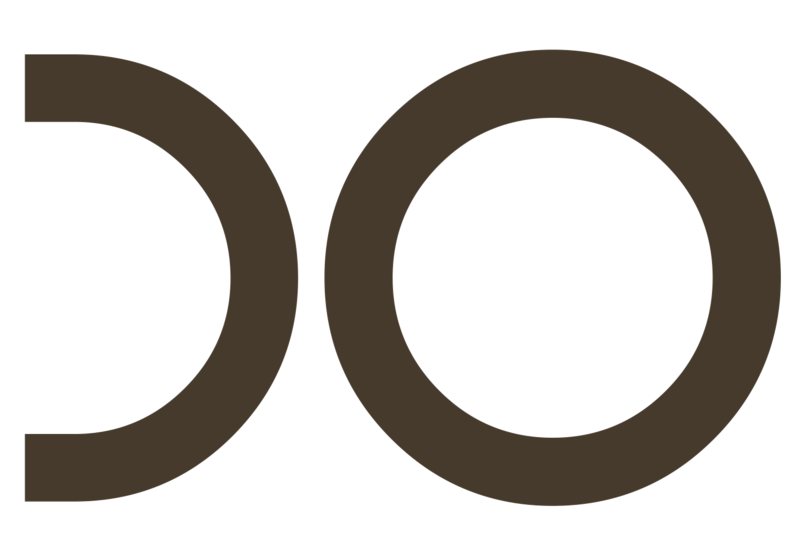 (www.badco.hr) and has been, until 2013, one of the coordinators of Experimental Free Scene (ekscena), an independent organization established to promote contemporary dance and other forms of performing arts. She has graduated from School for Contemporary Dance “Ana Maletić”, and has participated in many dance workshops in Croatia and abroad. She has coauthored many dance projects as well. Her work experience includes collaborations with many authors and groups like Irma Omerzo, festival “Improspekcije”, Mila Pavićević and Mario Kikaš, Selma Banich, CDU (Centre for Drama Art), BLOK, Oliver Frljić, Matija Ferlin, Andreja Kulunčić, etc. Often giving classes in contemporary dance, both in institutional and non-institutional context, she also holds workshops with other BADco. members in Croatia and abroad (P.A.R.T.S, Academy of Dramatic Arts Zagreb, Tanzquartier Vienna, etc.). She has completed a one-year educational course at the Centre for Women Studies in Zagreb and is a student of MA studies in Choreography and Performance at the Institute for Applied Theatre Studies in Gießen. She received the Erasmus + program scholarship and now studies at the Academy of Fine Arts in Vienna at Master in Critical Studies programme. She also holds a degree from the Faculty of Economics, University of Zagreb. KATARZYNA CHMIELEWSKA – graduated from the National Ballet School in Gdańsk (1984-1993), studied at P.A.R.T.S in Brussels (1996-1997); in 1993-1994 danced at the Ballet Group of the Baltic State Opera House in Gdańsk, and in Gdańsk Dance Theatre (1994-1995). Since 1992, together with Leszek Bzdyl, she has run the Dada von Bzdülöw Theatre; since 2008 given the support of Gdansk City Council, regularly staging and presenting its repertoire at Wybrzeże Theatre, Gdańsk. She holds the position of Artistic Director and Chief Executive in Dada Theatre, since 2008 run in the form of Association (NGO). She has been selected by the Polish Institute of Music and Dance /IMiT/ as one of the key co-organisers of 2019 Polish Dance Platform in Gdańsk. As part of her artistic career in the theatre, she’s run workshops of contemporary dance technique and improvisation, eg. Dada Hub at the Bay of Art in Sopot (annual choreographic summer workshop), she’s made original choreographies, such as “so beautiful” (2002), “Complexion” (2007), “FRUU” (2011), “Why don’t you like sadness? (2016), and co-created and appeared in most dada productions, including “Magnolia” (2003), “Several Witty Observations” (2004) / performance produced within Trans Dance Europe Network and shown eg. at LaMaMa in New York (2006/07) or in India (2007) /, “Factor T” (2008) coproduced with Dance Advance, Philadelphia & Art Station Foundation, Poznań; “Red Grass” (2009), “Caffè Latte” (2009), “Le Sacre” (2010), “Invisible Duets” (2012) / performance shown eg. in South Korea (2012) and China (2012) /, “Play it, so 17 dances about something” (2013), “INTRO” (2015) / performance shown eg. in New York within Rehearsal for Truth Festival in Sept 2017/, “Today, Everything” (premiere 2017). She’s been a regular contributor to the performances of other choreographers eg. Roberto Olivan, Malgven Gerbes and David Brandstätter, as well as has created scenic movement for drama theatres. Awarded in 2012 by the Mayor of Gdańsk and Marshal of the Pomeranian Region for lifetime outstanding artistic achievements. LESZEK BZDYL – dancer, actor, director. He began his professional career at the Wrocław Pantomime Theatre of Henryk Tomaszewski (1987-90). In the years 1990-1992, cooperated with the Wojciech Misiuro’s Theatre of Expression. In 1990 he graduated from the University of Wrocław (MA in History). In 1992, together with Katarzyna Chmielewska, he founded the Dada von Bzdülöw Theatre, where he’s directed most of the performances, including MAGNOLIA (2002), inspired by DIARIES of Witold Gombrowicz, SEVERAL WITTY OBSERVATIONS (2004), FACTOR T (2008), LE SACRE (2010), INTRO (2015). With the Dada Theatre, he’s presented the performances in over 20 European countries, as well as in China, India, South Korea, the United States, Israel and Palestine. As a director of drama plays, he’s staged, among others: UNKNOWN TANGO by Wiesław Myśliwski (Polish Theatre in Warsaw), EMPTINESS. DESERT. NOTHING. – VARIATIONS BY GOMBROWICZ (Wrocław Pantomime Theatre), CYRANO DE BERGERAC by Edmond Rostand (Theatre of H. Modrzejewska in Legnica, 2009), GREEN ZOO – according to the original script (OCH Theatre in Warsaw, 2010). He’s created choreographies or stage movement to several dozen performances at the stages of Warsaw, Gdynia, Gdańsk, Legnica and Wrocław. 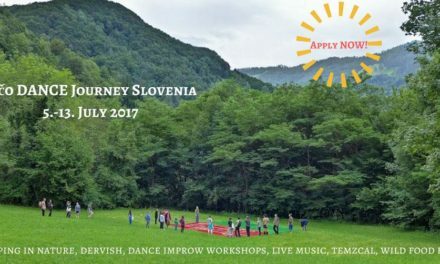 He runs dance and acting workshops in Poland and abroad, so far including England, France, the Czech Republic, Sweden, Finland, Germany, Zimbabwe and the USA. He is a lecturer at the Theatre Academy in Warsaw.